At Bauer Shepherd & Ross (BSR), we value our clients and provide a team approach to promote their well-being. Meet our team! Nancy is a co-founder of the Collaborative Divorce Interdisciplinary concept and principal of Bauer, Shepherd & Ross a psychotherapy practice in Cupertino, California. As a clinician for over 30 years, she has specialized in couples and family therapy. Currently, over 80% of her practice is dedicated to collaborative work. She is a divorce coach and mediator for both custody and post-divorce issues. A founding member of the International Association of Collaborative Professionals (IACP), she has also developed Ethics and Training Standards for IACP. 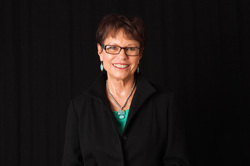 In 2007, Collaborative Practice California awarded her the Eureka Award for her contributions to California Collaborative Practice. She is a Certified Interpersonal Communications Trainer, training work teams, Interdisciplinary Collaborative Practice teams and practice groups in effective teamwork. She conducts trainings with Collaborative Practice Silicon Valley Trainers, introducing lawyers to the role of Coaches and Child Specialist in Collaborative Practice. With her Santa Clara colleagues, she has taught Collaborative Practice at Santa Clara University School of Law. A co-author of Divorce: A Problem to be Solved, Not a Battle to Be Fought and author of numerous articles on Collaborative Divorce, she continues to teach and train in the Collaborative Divorce model with Collaborative Divorce Team Trainings and present the concepts both nationally and internationally. For more than 25 years as the Bauer, Shepherd & Ross full-time office manager, Jean brings a unique combination of business expertise, communication skills, caring, patience and an understanding of BSR to clients and staff alike. She has a broad background in collaborative practice issues, freely sharing her knowledge with clients and other professionals as well. Jean is an invaluable resource for BSR and its clients. In 2007, Collaborative Practice California awarded Jean the Eureka Award for her contributions to California Collaborative Practice.